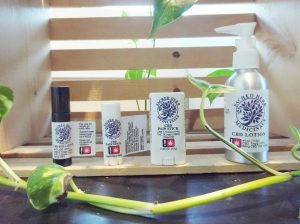 Home Grown Apothecary, Portland's Organic Recreational Dispensary, Cannabis Deals| 420 deals begin | Coconut Oil and more at HGA! Truffles and pastry bites from Laurie + Mary Jane are now only $19! L+MJ has won the Dope Cup in 2015, 2016, and 2017 with their delicious baked goods. From award-winning farm, Green Source Gardens. Pinkleberry Kush– Hybrid- inbred for 5 generations to ensure the strain you get is Pinkleberry. 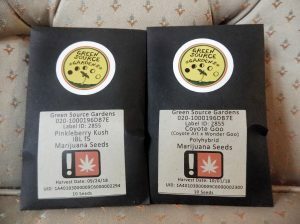 Coyote Goo- Indica Hybrid- PolyHybrid so less stable genetics. Click on each strain here to learn more about the strain from GSG themselves! Designed to help you boost your immune system. Also known as the “Soul Mushroom”, “King of Mushrooms” and the “Mushroom of Immortality”. This organic tincture is an adaptogen, meaning that it will build up in your system with continued use. This is great for the oncoming Flu Season! Reishi mushrooms have also had success with lung conditions like asthma, heart disease like cholesterol and blood pressure, reducing stress and preventing fatigue.